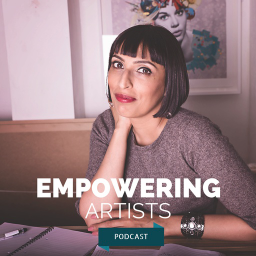 I was recently invited to take part in a podcast on Art Licensing with Gita Joshi. Gita is an art dealer, curator, and the organiser of Camberwell Open Studios. She is Director of Empowering Artists providing business advice for artists. I did a call out for questions on the morning of the podcast. Licensing is a vast topic but the podcast covers a lot of ground! You can listed to the full podcast with Gita here.